Good price, quick delivery. Our 10-month old was starting to wander off to visit toward the end of walks, and can't stop himself from racing to socialize with other walkers, and especially their dogs. The dogs also go along on horseback rides where a lot of distance is covered, and we needed a decent range to be able to use a collar. One correction, and now he responds immediately to the sound alone. Very nicely made product. Easy to use. 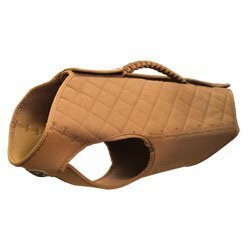 A good size to use with Retriever puppies and smaller breed dogs. SUBHEADLINE: A good size to use with Retriever puppies and smaller breed dogs.